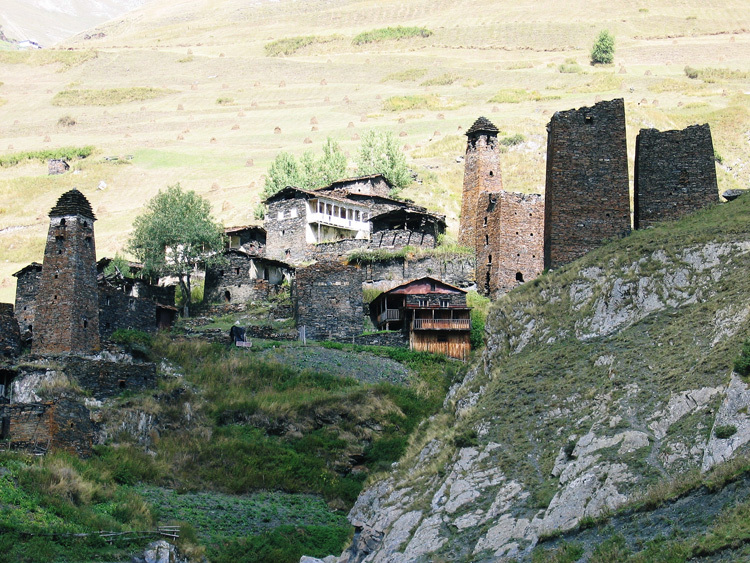 The 'canton' of Tusheti is the most easterly of a handful of mountain regions in the Georgian Caucasus and borders on Chechnya and Dagestan. 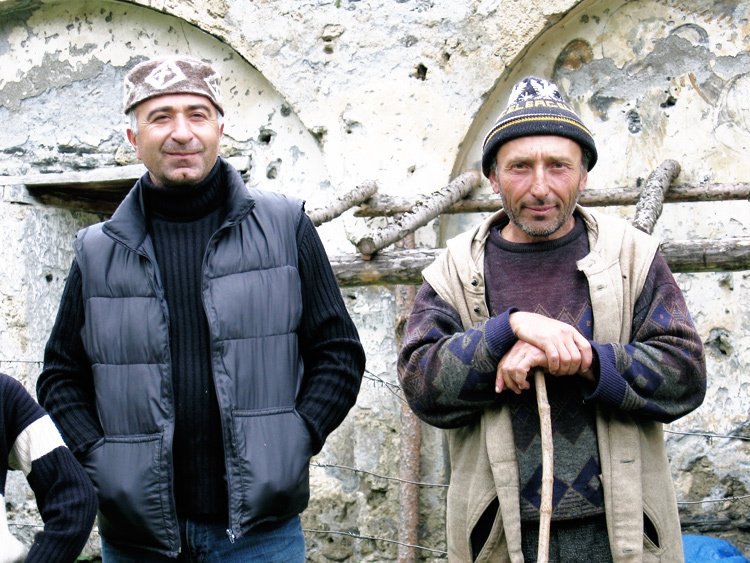 Like a few of the other clans in the Caucasus, the Tush follow a traditional way of life. 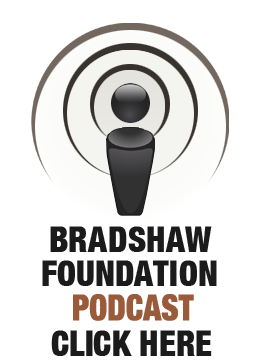 The majority (appr. 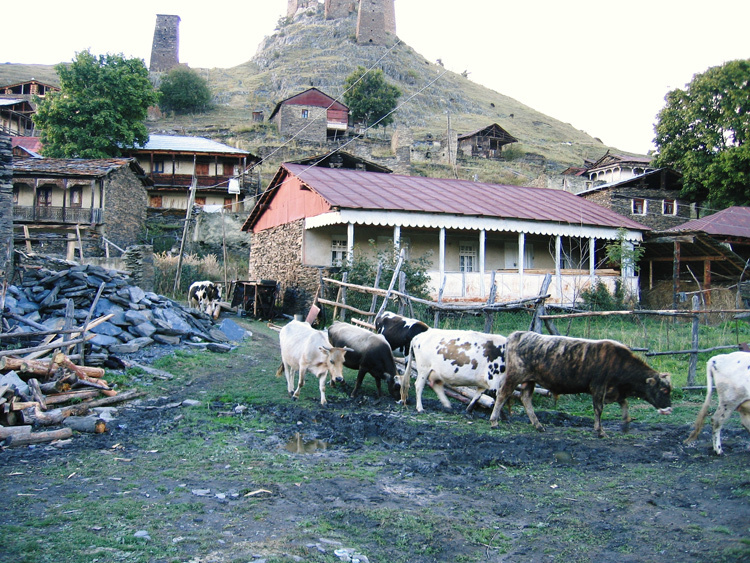 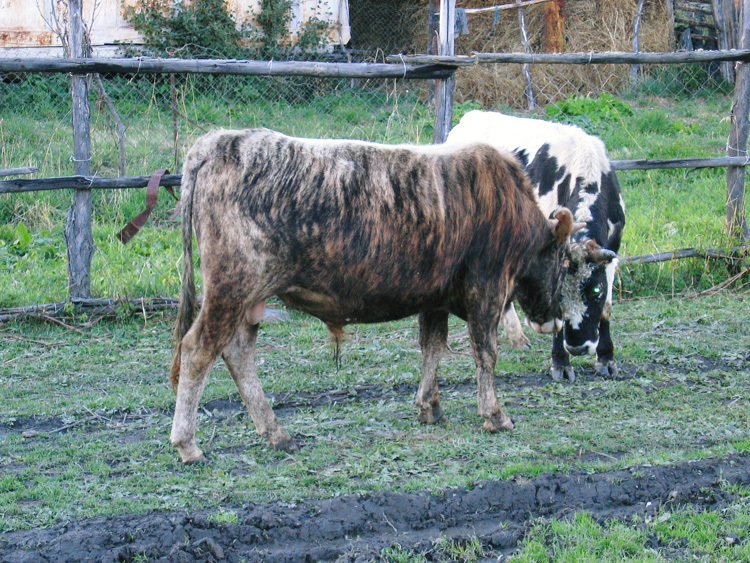 16,000 people) migrate, with tens of thousands of sheep and thousands of cows, between their summer villages and pastures, and their winter homes in the wine-rich plain of Kacheti, where the villages of Zemo and Kverno Alvani are exclusively Tush. 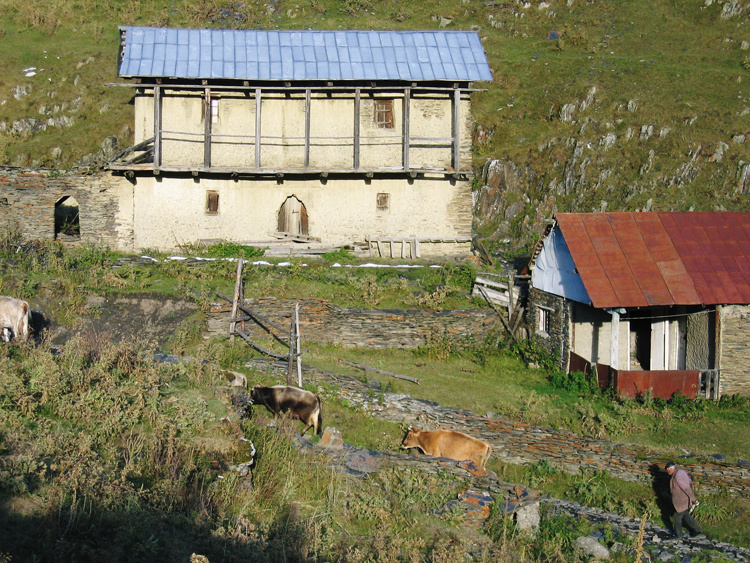 They are the only clan in the Caucasus which to this day follow a semi-nomadic life. 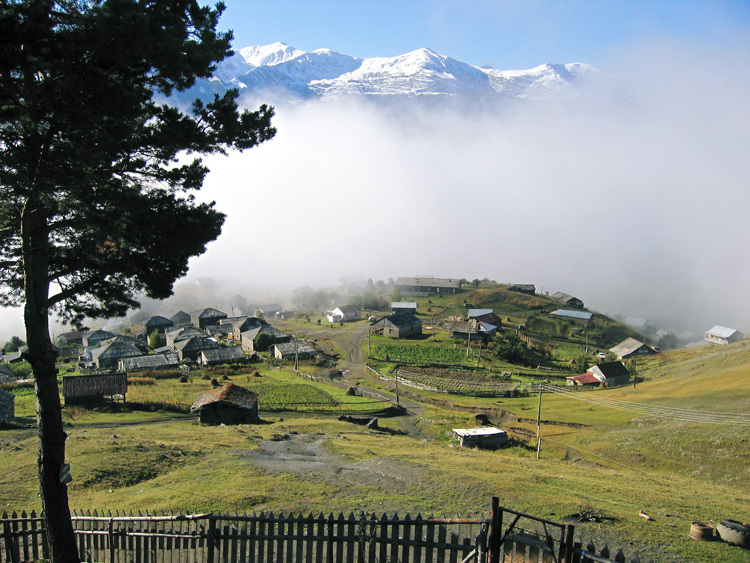 As the Bradshaw Foundation's Journey of Mankind Genetic Map indicates, the population of the Caucasus by modern man took place between 40,000 and 25,000 years ago. 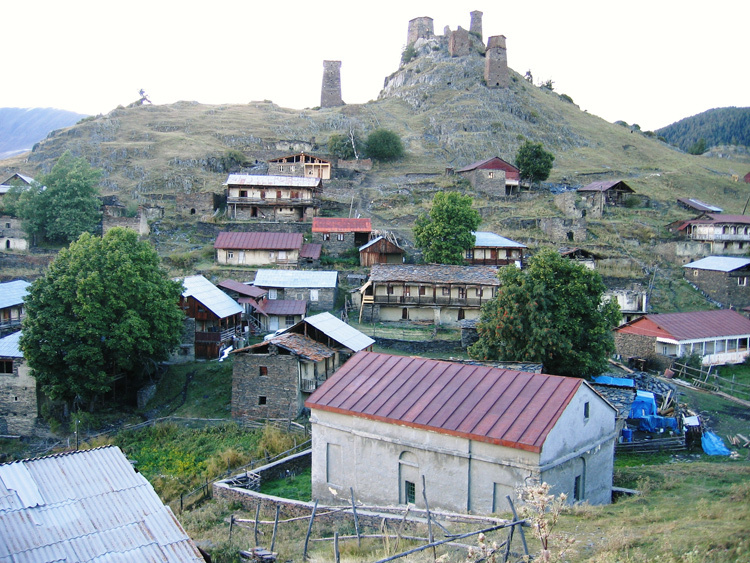 Little research has been carried out in this region, although hand axes thought to be those of early hominids have been excavated in the rock shelters of Kudaro Cave and Tsona Cave. Stephen Oppenheimer states that this is an exciting prehistoric corridor between the ancient Near East and Northern Europe and Russia, and at present we know little of the small pockets of isolated communities occupying this region. 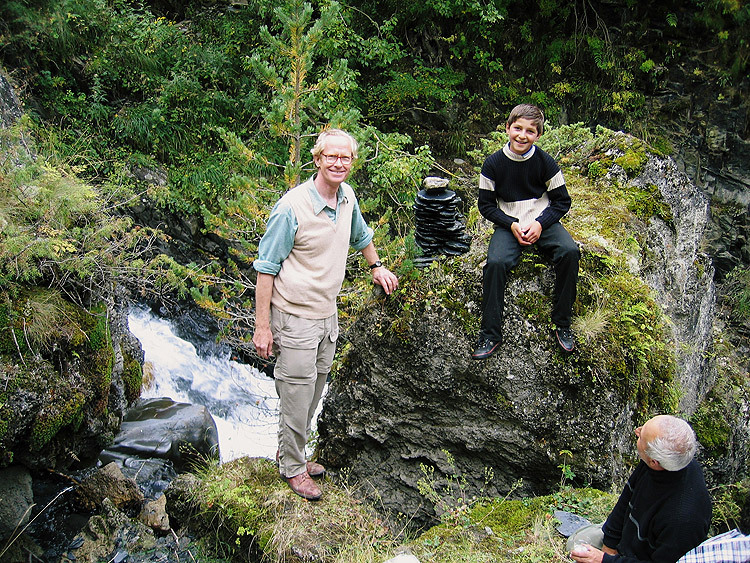 On this investigative expedition, I was guided by the resident archaeologist Nugzar Idoidze [a native of the village of Omalo, where his ancestors had been chieftains] to observe the preservation work being carried out by the Keselo Foundation. 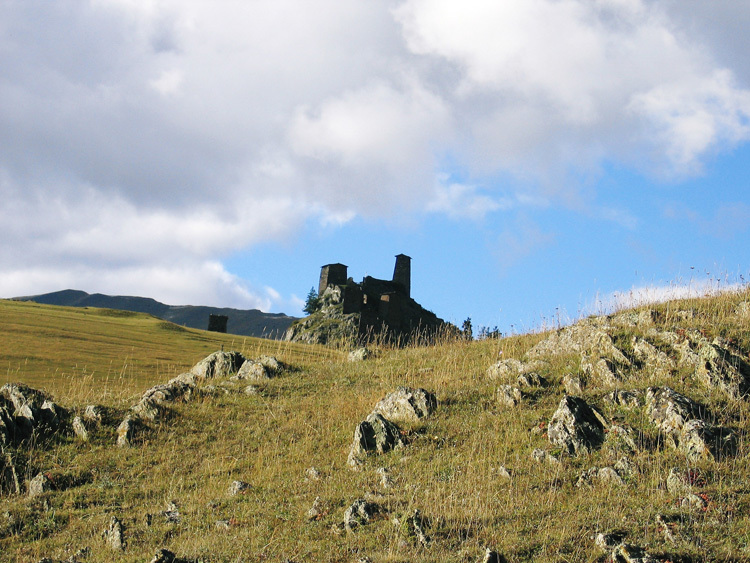 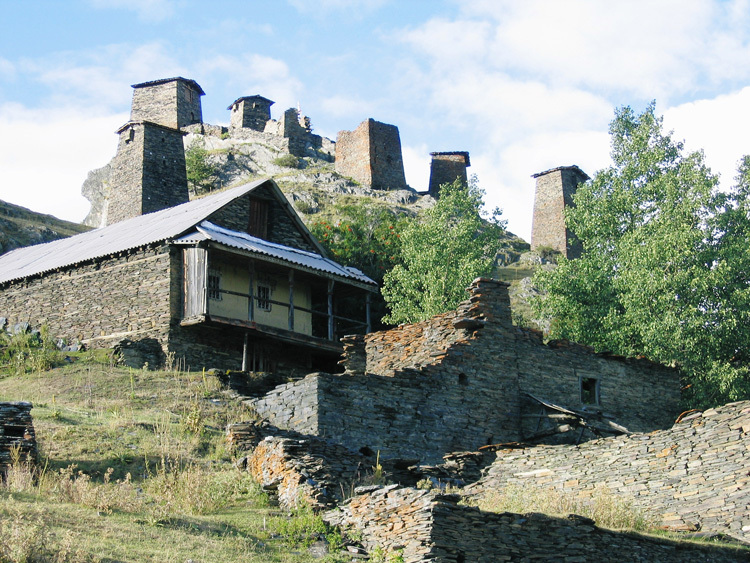 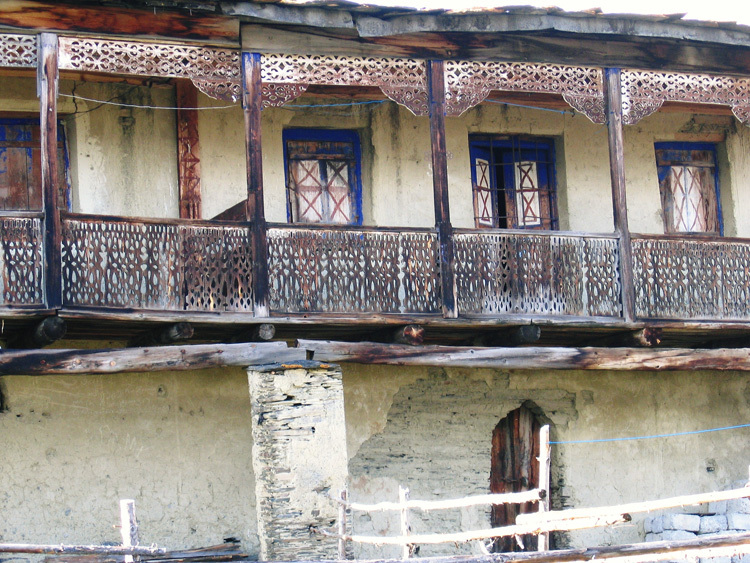 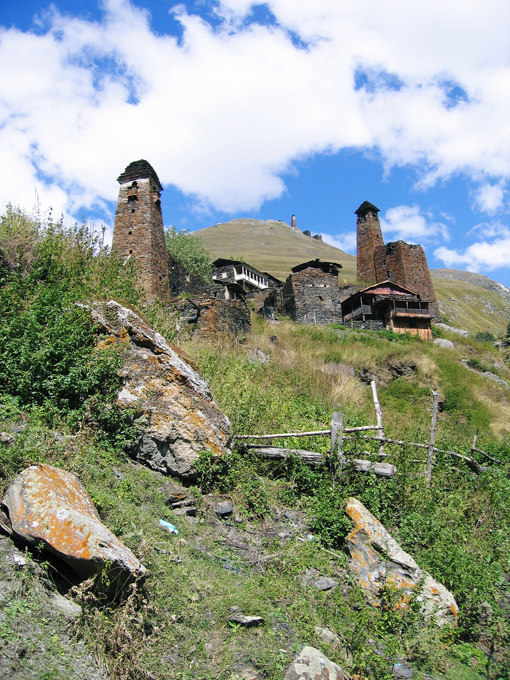 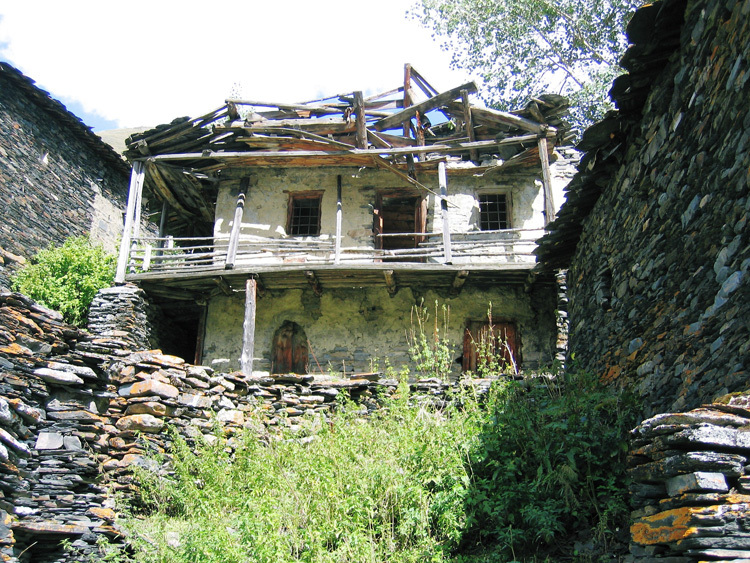 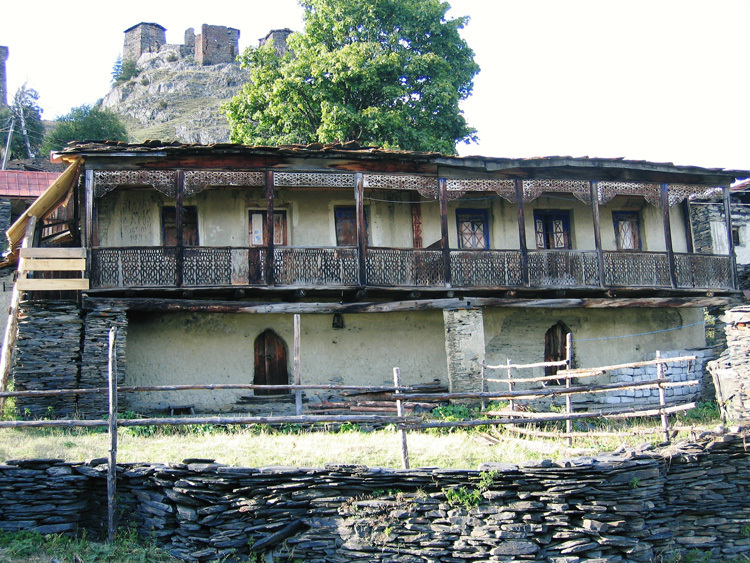 This includes the rebuilding of five towers of the Medieval fortress of Keselo, above old Omalo in Tusheti, the repair of a monument in the nearby village of Dartlo and the restoration of a tower in Khiso, on the road to Omalo. 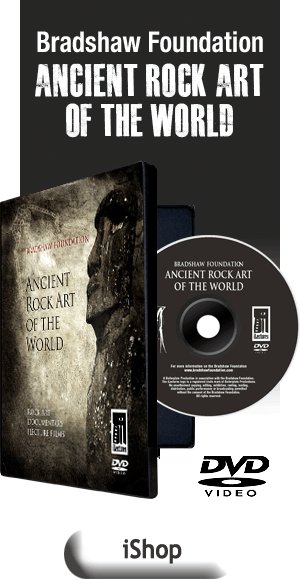 The work itself was bringing to light an array of archaeological artefacts, such as ancient rock art motifs and Bronze Age axes and jewellery. 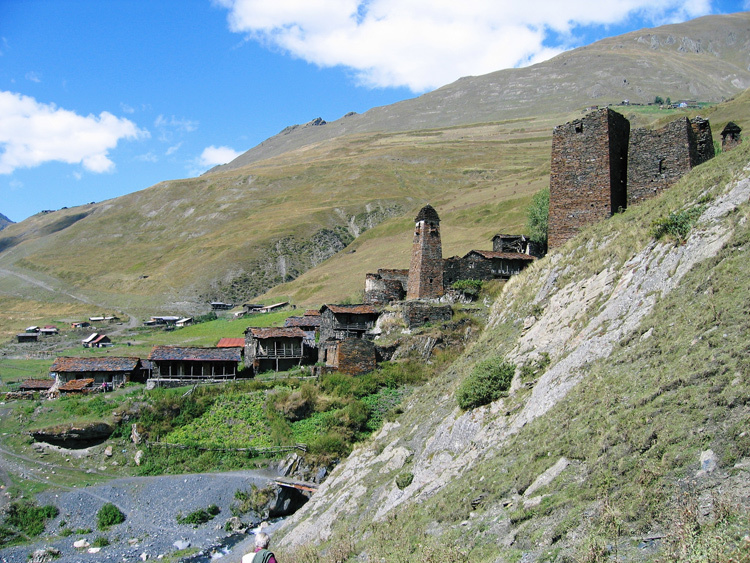 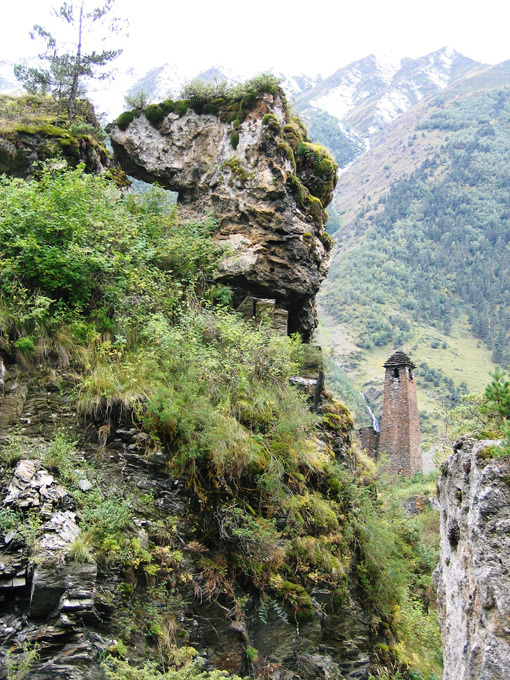 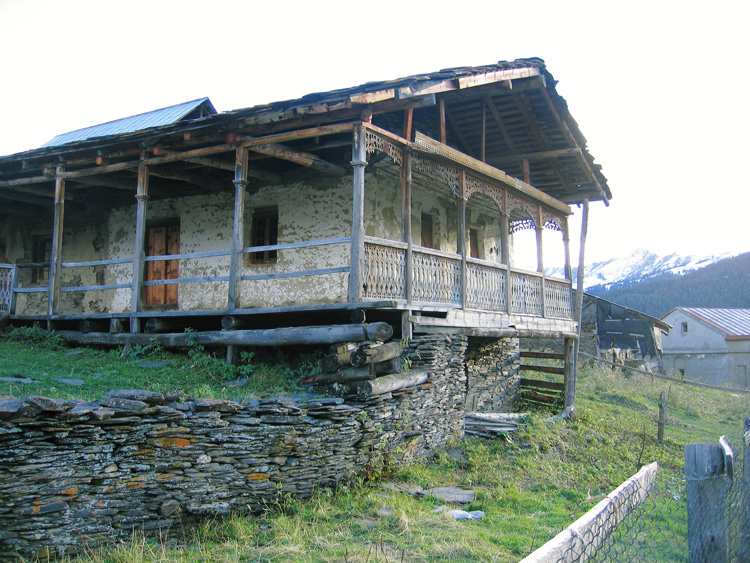 Based on what I have seen on this expedition, the Bradshaw Foundation consider that the region of Tusheti in the Georgian Caucasus merits closer scrutiny from all fields of study. 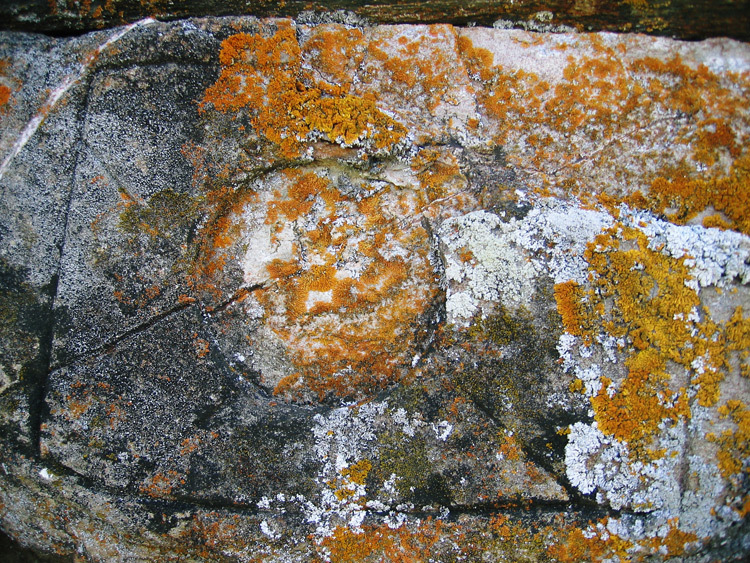 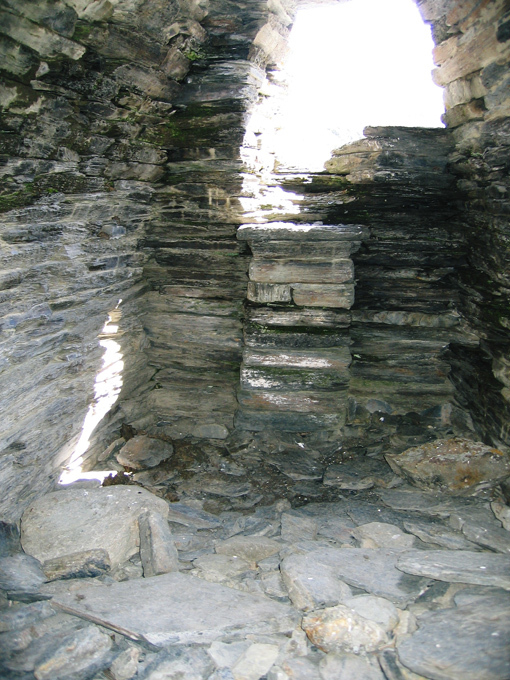 The presence of ancient rock art symbols and bronze age jewellery indicates the continued habitation of isolated communities which have evolved and diversified. 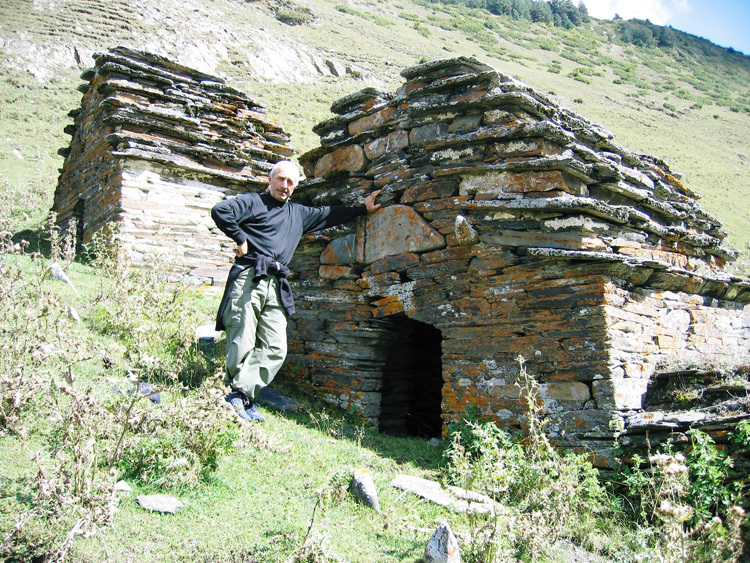 To analyse the DNA of the people of Tusheti would for the first time shed light on their genetic ancestors, the migration routes taken, and the timing. 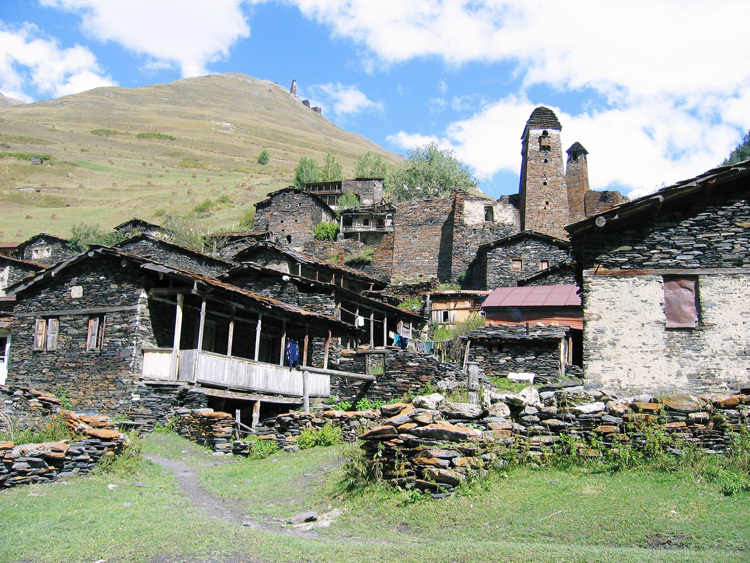 Having established a working relationship with the local population, through the commendable endeavours of the Keselo Foundation, we intend to formulate a collaborative program of research for the future.